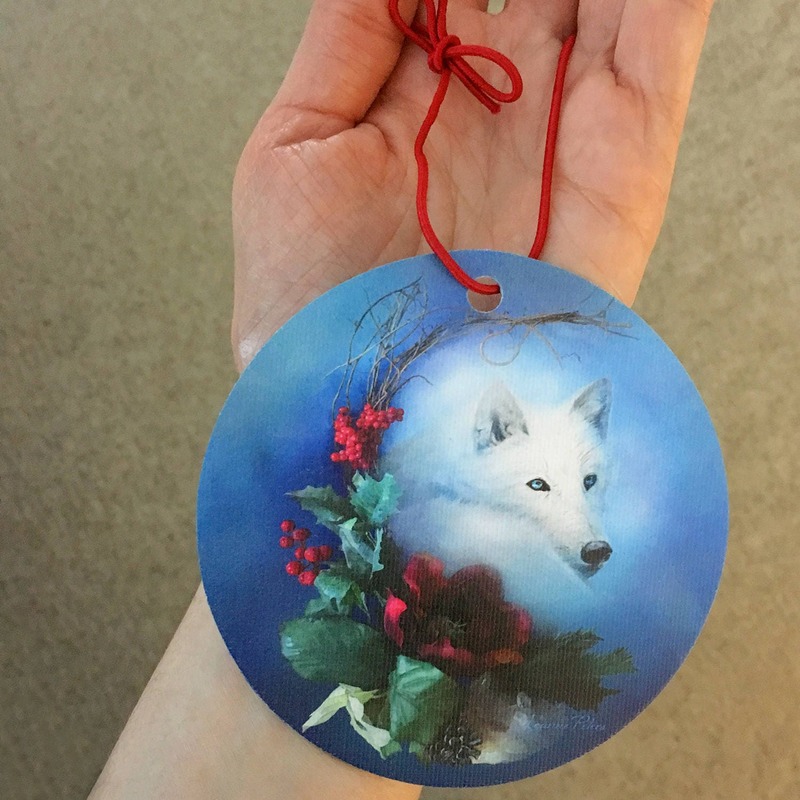 Wild Winter Solstice 4 x 4 inch canvas ornament is of my digital painting of a mysterious white wolf. 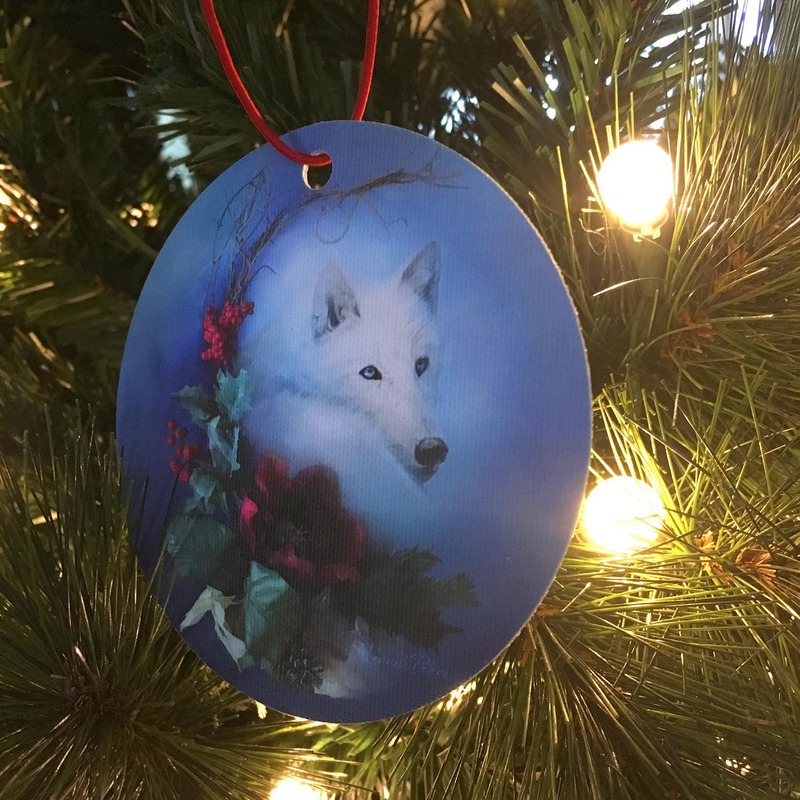 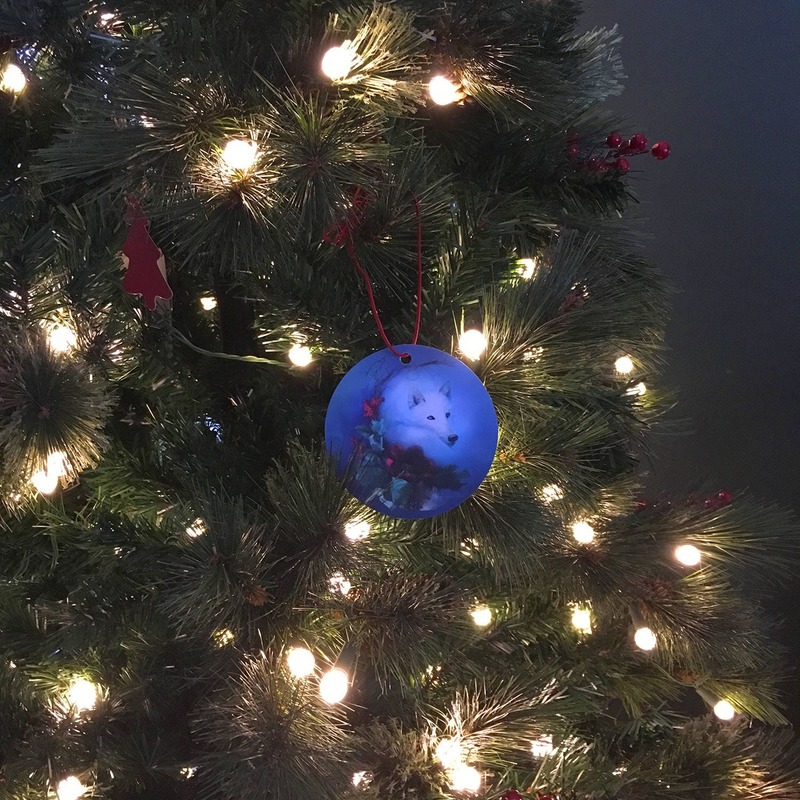 Each ornament is printed on both sides featuring the same image and has a red display cord. 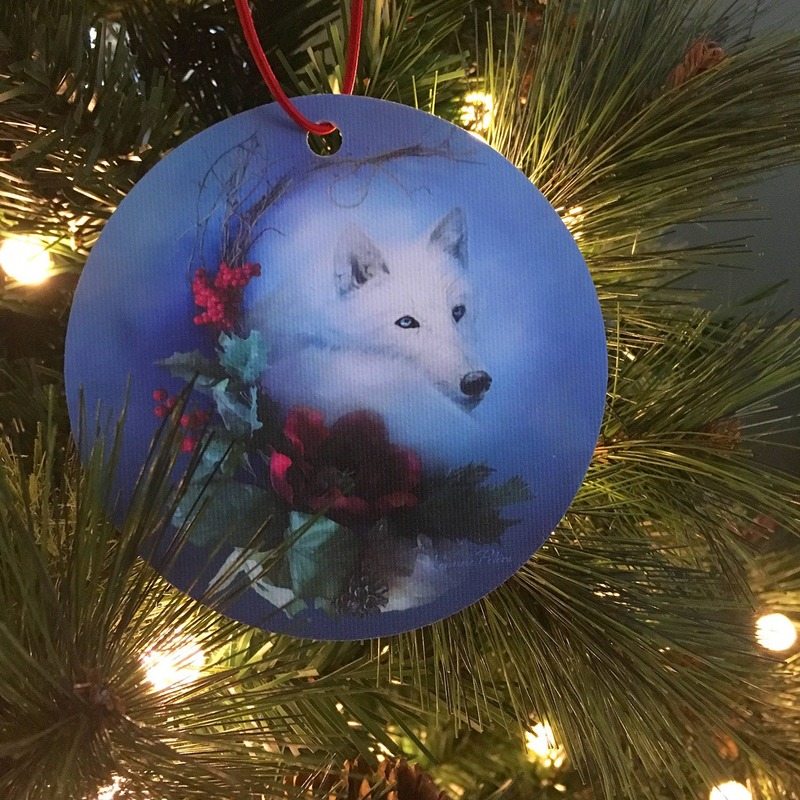 They are constructed using premium cardstock.